With summer starting to wind down in Washington, it’s never too late to start taking the kids to swim at the local pool or Sprayground. Luckily, for the residents in the Puyallup area, there are plenty of pools and a sprayground to keep the kids entertained. Fortunately, the sunny days last until the end of September around here and even after the sun is gone and we start to transition into the colder days, taking indoor swimming lessons is always a good idea. Kids of all ages should be taking swim lessons to not only help teach them water safety but to also help them stay active when the weather starts to get worse. A few years ago, due to overwhelming community support, Puyallup’s Pioneer Park got a new splash pad to replace the old wading pool. After all the support from the community and seeing how popular the Tacoma spray parks had become, the Puyallup city council decided it was time to transfer funds to the Parks and Recreation capitol improvements project for the design and installation of the splash park. 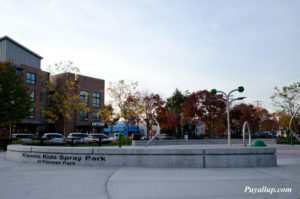 The Kiwanis Kids Spray Park is one of the South Sound’s newest spray parks and Puyallup’s first. This splash park is open from 10am until 8pm and is located at 324 S. Meridian in Puyallup by the downtown Library. 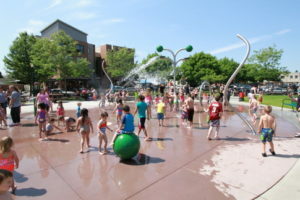 The spray park has all kinds of fun features with water not only being sprayed up from the ground but also dumped from above by cool water installations. The Mel Korum YMCA located at 302 43rd Ave. SE in Puyallup offers swim lessons and water safety programs for all ages. There are early youth, preschool, youth, teen and adult swim lessons. They also have private swim lessons for people who need more one on one coaching when it comes to swimming. Early youth swim lessons are for children from 6 months old up to 36 months and the instructor works with the parent and child on basic water skills that include paddling, sitting on the pool edge, floating, basic swimming skills, blowing bubbles, and being able to swim unassisted. Preschool swim lessons are for children ages 3 to 5 and these lessons build on basic swimming and water safety skills. The lessons progress to teaching children the different swimming strokes like the front crawl and backstroke. Youth lessons are for children ages 6 through 11 years old. These lessons focus on teaching endurance and perfecting all the basic arm strokes and eventually lead up to teaching competitive swim practices and junior lifeguarding skills. Teen swim lessons, for kids ages 12 to 14, are divided into two separate classes, Teen Swim 1 and Teen Swim 2. Teen Swim 1 is a beginner class that works with smaller groups on swim skills and team building. The skills include the elementary backstroke, backstroke, sidestroke and breaststroke. Teen Swim 2 is an intermediate level class that builds on all the skills learned in Swim Teen 1 but with the addition of learning the breaststroke and the butterfly. The Mel Korum YMCA also provides Adult Swim lessons for anyone ages 15 years and up. For those people interested in water safety, the YMCA provides a Lifeguard Certification program. 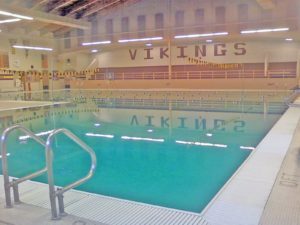 The Puyallup High School pool is also available to the public. There is a lifeguard on duty along with showers and locker rooms that are provided for day use. Activities at this pool include lap swimming, water exercise, swim school and physical therapy. The pool also has equipment like kick boards, pace clocks, pulling gear, backstroke flags, and lane lines available for use. 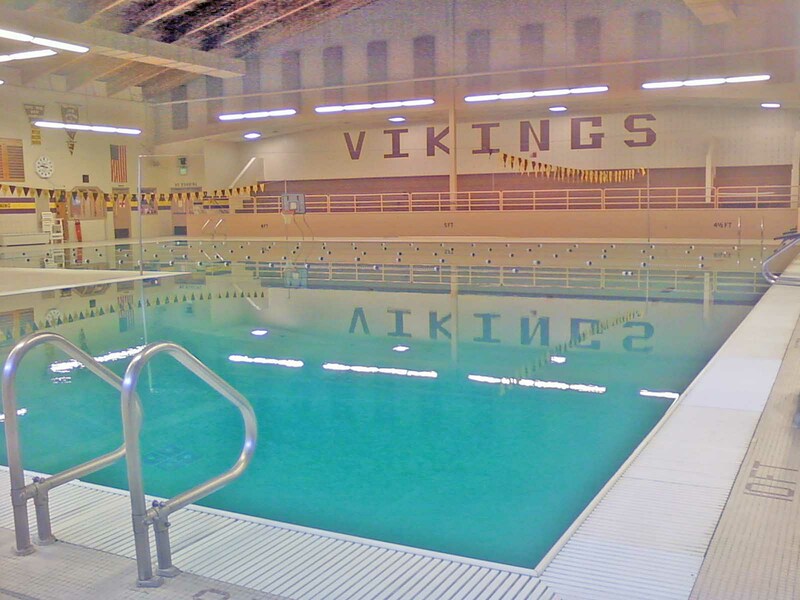 The Puyallup High School Pool also offers Life Guard Training classes. The pool is heated and has 6 lanes total and is open year round. General admission is $3.75 and senior admission is $3.50. The pool is located on the corner of 6th ST SW and W Main Ave on the backside of the gym building. Teaching your children how to swim is an important skill to learn. In Puyallup we are lucky to not only live close to the ocean but also close to a few different lakes. Water safety and swim lessons help prevent drowning and help people to understand the dangers in the water. These programs are designed to also make swimming and water safety fun and enjoyable. Swimming is excellent exercise and provides a fun way to cool off during the hot summer days. Make sure to check out both these pools and splash park in Pioneer Park for a fun family orientated activity.